HomeHypeMcGregor Weighs In 3lbs Heavier than Mayweather! Despite all the speculation surrounding McGregor finding it difficult to make weight, the Irishman weighed in 1lb under the official limit, and 3lbs heavier than his American counterpart. 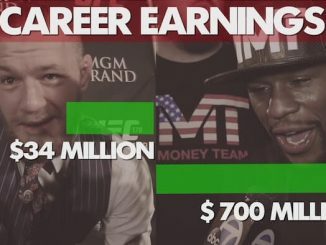 Everyone knew that the UFC would be bigger and stronger than Mayweather, and although he weighed in just 3lbs more than Money, on fight night it will be much more than that. McGregor stated in an interview that he will actually be close to 170lbs, which is a staggering weight increase. 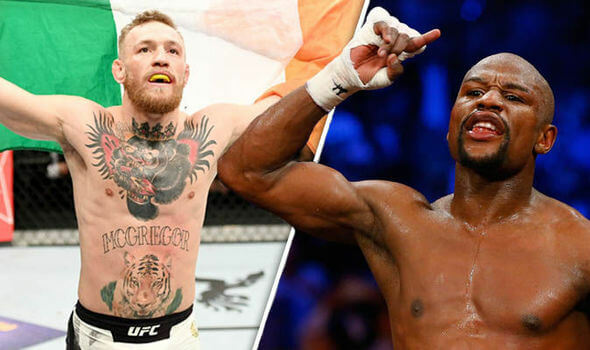 Now, even though the scales say one thing, both men looked in peak physical condition, and both look incredibly ready for tomorrow night in the T-Mobile Arena; during the face off, Mayweather looked calm as usual whereas McGregor looked really amped up. McGregor Doesn’t Have ‘Oh My God’ Power!